On a summer day when your kids are looking for something to do, ask them to help you pack up a picnic. No matter where you picnic (the backyard, the park, or by the sea), eating outside will feel like an adventure (and the food always tastes so much better outside!). The food you plan for your picnic can be quite simple – sandwiches or salads, watermelon slices, and a sweet ending. Try our Summer Caprese Sandwiches or Cucumber Sandwiches, Sunny Quinoa Salad, and Tiny Pies for dessert. 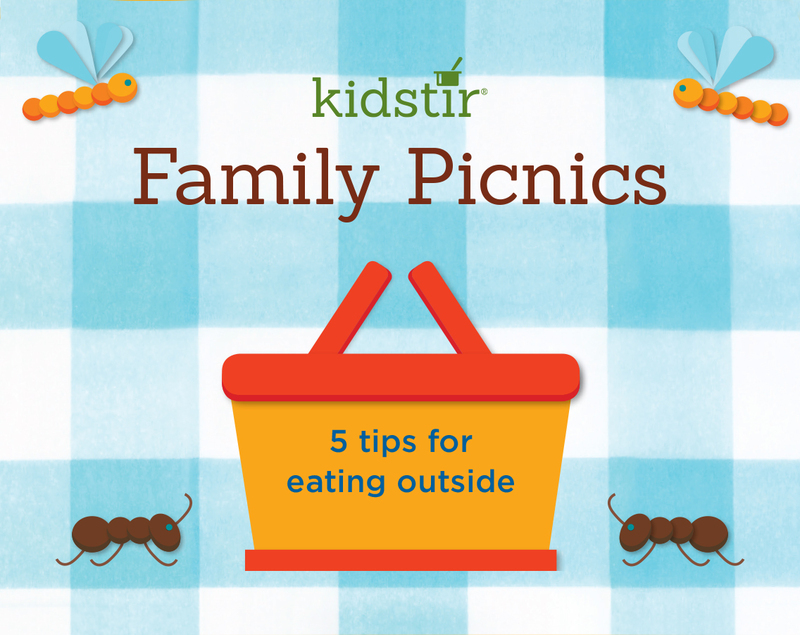 With a little encouragement from you, your kids can help you prepare the picnic fare. Depending on their age, you can step back and let them do most of the cooking by themselves. Stay nearby for questions, of course, especially if they are baking (recommend ages 8-9) or using sharp knives (ages 6-7 for paring knife on soft foods; ages 8-9 for chopping). After they prepare the picnic fare, offer a basket, a blanket, and some fun extras like party napkins or straws. Pack it all up with a cold pack and a trash bag. Head to a sunny spot in your backyard, bike to a nearby park, or bring your picnic to a lake or river picnic area. Spread out your blanket and dig in. Don’t forget to take pictures (or play Frisbee or swim afterwards). Happy picnicking!